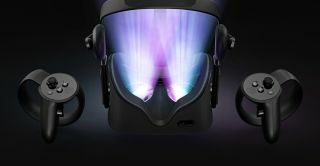 Oculus Rift founder Palmer Luckey has announced he will have a solution for virtually reality locomotion sickness available via open-source later this year. When pressed to elaborate on the original claim, Luckey clarified (Reddit, via Resetera) that the solution would include "hardware and software" and that he aimed "to open-source the design later this year". He added that he was "not aware of anyone else working on this branch of the problem". And that's not all. In the same series of tweets posted earlier this week, Luckey also predicted that within the next five years, not only would there be a "universal solution for vestibulo-oculular mismatch in virtual reality", but also "superhuman sensory perception/reaction for a handful of people", "predictive analytics indistinguishable from time travel in some cases", "VTOL air taxis", and "0 to 60 in 0.8 seconds". When a Twitterer responded that VTOL air taxis already existed in the form of helicopters, Luckey replied: "I have a few helicopters. They are not sufficient."